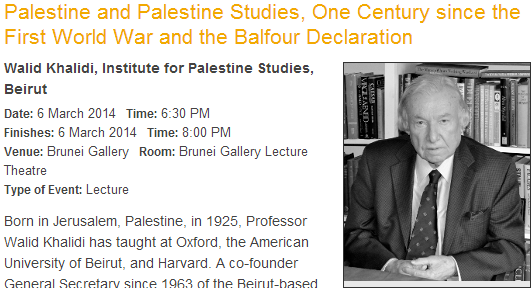 Smearing of pro-Israel questioners gathers pace at SOAS’ Centre for Palestine Studies. 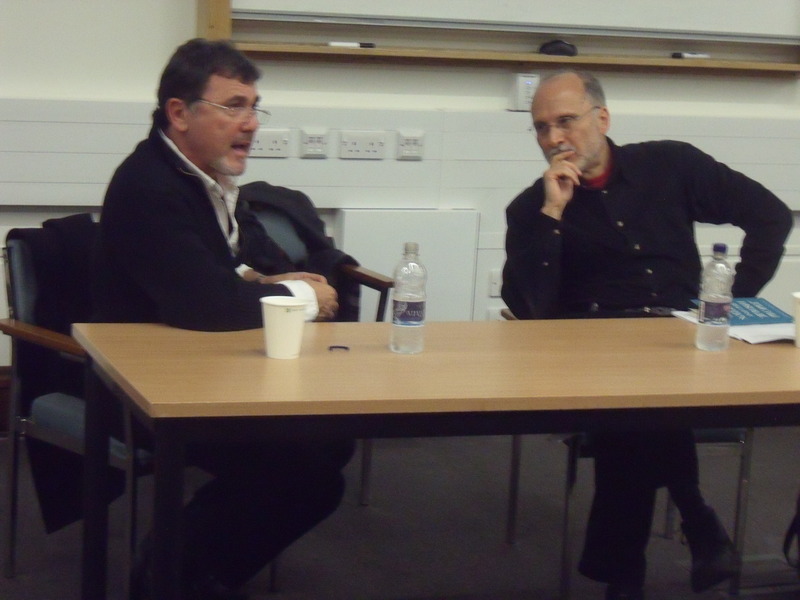 Professor Gilbert Achcar (R) and Shlomo Sand (L) at SOAS in Feb. 2011. Dr. Amal Jamal is following the path of Omar Bhargouti. Both are academics who have hugely benefited from living in Israel but who then came to London at the first opportunity to question Israel’s existence. Tel Aviv University must have a death wish because Bhargouti, who would like to boycott Israel out of existence, did his Masters and is now pursuing a PhD there, and Dr. Jamal, who thinks Israel is heading towards a “one state solution”, is senior lecturer in the Political Science Department there. Dr. Jamal spoke last night at SOAS on The Jewish State and the Hollowing Out of Palestinian Citizenship. The talk was sponsored by the recently created Centre for Palestine Studies, which is based at SOAS and includes Ilan Pappe as one of its academics. Another of the Centre’s academics is Professor Gilbert Achcar. Professor Achcar lectures in the Department of Development Studies at SOAS. Last night’s chairperson, and another of the Centre’s academics, was Dr. Laleh Khalili. Dr. Khalili lectures in the Department of Politics and International Studies at SOAS. More on both Professor Achcar and Dr Khalili later on. Dr Jamal introduced his talk by describing the “Zionist narrative” as Jews returning home to a land that was promised by God according to the Bible. But, he said, the Palestinians pose a heavy threat to that narrative. This, he argued, has led to an Israeli policy of manufacturing “quiet Arabs” and “floating Arabs” who have no ability in Israel to influence what they want to be. Israel, he said, is doing this by redefining the Jewish state and hollowing out Palestinian citizenship. Part of this is a mechanism of “Control and Neglect”. “Neglect” means de-developing the Israeli Arabs so they become unequal to other citizens. And “citizenship” as a control mechanism is used to inhibit Israeli Arabs from integrating fully into Israeli life. He said that in Israel “Jews live. Palestinians exist”. He criticised the Knesset with its automatic majority that can enact any law. Other tools used included separation and “the racist Wall” and other walls being built in Lod and Caesarea. The citizenship law, the boycott law and the Nakba law were other examples as well as the limiting of resources for Israeli Arabs and the removal of citizenship in cases of treason. Dr. Jamal concluded his talk by saying that the Jewish state is a hegemonic project that cannot tolerate contention and that this will eventually lead to its breakdown and that Israeli policies will close off any hope of a two state solution, eventually leading to a “one state solution”. During the Q&A events took a turn for the worse. I asked Dr Jamal why, if as he stated, Israeli Arabs could not influence their future in Israel then how had he become so successful there. I then went on to suggest that at least in Israel the Arabs had a chance to argue their case while in the surrounding Arab countries Arab citizens were either being slaughtered or undergoing the imposition of strict Islamic laws. Dr Khalili thought this second point off-topic and tried to shout me down. Next someone shouted “This is Hasbarah. It is crap”. When I tried to defend my right to ask a question Professor Achcar, who was sat in the front row, referred to me as a “professional disruptor” to which Dr Khalili replied “I know, I remember”. Then, quite incredibly, Professor Achcar announced to the room that I had left insults on his phone and that had he known I was coming he would not have allowed me in. He told me to get out. I realised afterwards that this is the second time he has asked me to leave a talk. In February 2011 exactly the same happened when he didn’t like my questioning of Shlomo Sand (also of Tel Aviv University, incidentally) at SOAS. Afterwards Professor Achcar told me that he still has the recordings of the insulting phone messages. If he can prove that they are from me I will donate £1000 to a charity of his choice. Alternatively, he might have the decency to apologise. I never got a proper answer from Dr Jamal as to why he had succeeded while other Israeli Arabs hadn’t. He just said that Israeli Jews must be saved from enacting policies of apartheid, expulsion and genocide. He said Jews can change but that the Jewish community in Britain has an important role to play as Israeli Jews can’t save themselves on their own. 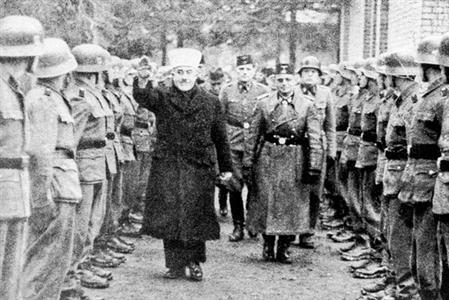 He also said that he wanted the right of return but for it to be controlled at first both for Jews and Arabs. Eventually, he said, up to 20 million people must be somehow accommodated. For the Palestinian “right of return” read Israel’s destruction. And this from someone being paid by Israel to teach Israeli students! Meanwhile, I was proud to study at SOAS and I contributed financially when I was recently telephoned to help current students. It’s now very sad that some anti-Israel SOAS lecturers are using smear tactics when they don’t like what they hear. 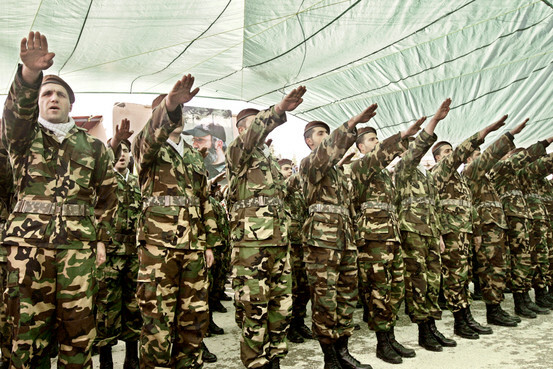 Shlomo Sand: Israelis could massacre the non-Jews in Israel. Sand and Achcar: Let's talk anti-Zionism. But Jews had never wanted to originally go to Palestine. Only after 1924, when America closed the gates, and eventually the British too, did they finally set sail for Palestine. Most Jews don’t live in Israel, but outside it. And Golda Meir had, apparently, said that when a Jew marries a non-Jew he or she “adds to the six million”. Shlomo Sand on a massacre in the Galilee (after 31 minutes) (This is in the Q&A).